Assorted TV/Film collection. 50+ items mainly stuck to photograph album pages, may be possible to remove with some careful handling. 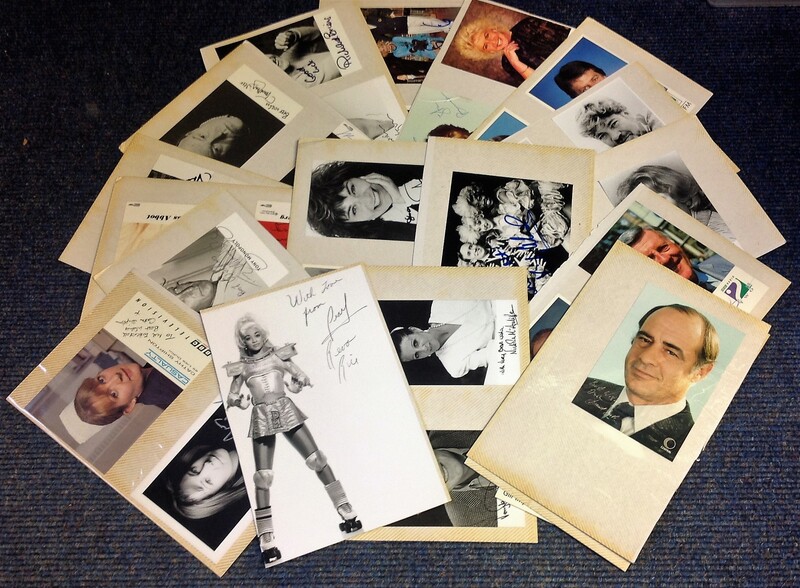 Some of names included are Zoe Wanamaker, Cathy Shipton, Gill Impey, Ken Bruce, Jimmy Young, Roy Walker, Tom O'Connor, Ed Stewart, Fiona Fullerton, Matthew Kelly, Stan Boardman, Gloria Hunniford, Timothy West, Bella Emberg, Jan Ravens, Tommy Steele, Anne Robinson and many more. Good Condition. All signed pieces come with a Certificate of Authenticity. We combine postage on multiple winning lots and can ship worldwide. UK postage from £3.99, EU from £5.99, Rest of World from £7.99.